The multiplayer spaceship combat game Dead Star will essentially be shut down on November 1, seven months after launch. Armature Studios, the Austin-based team behind the game, is shutting down the game’s multiplayer servers on that date, leaving only the tutorial playable. Armature has also pulled the PS4 and PC game’s listings from the PlayStation and Steam stores. In December, the studio attempted to sell the game essentially as an early access game on PS4, despite the platform not offering such a program. Anyone who pre-ordered the game got access to a fully playable build. Armature quickly followed with an official Steam early access build and then launched the game properly in April. Sony offered Dead Star as a free game to all PlayStation Plus subscribers that month, but whatever surge in free downloads occurred did not generate a lasting player base. Matches were hard to come by during the pre-launch period, easy to find in April and in the weeks that followed, but the server population is anemic now. At noon today as news broke of the planned shutdown, we tried finding a 10v10 match for 20 minutes but couldn’t find a match. 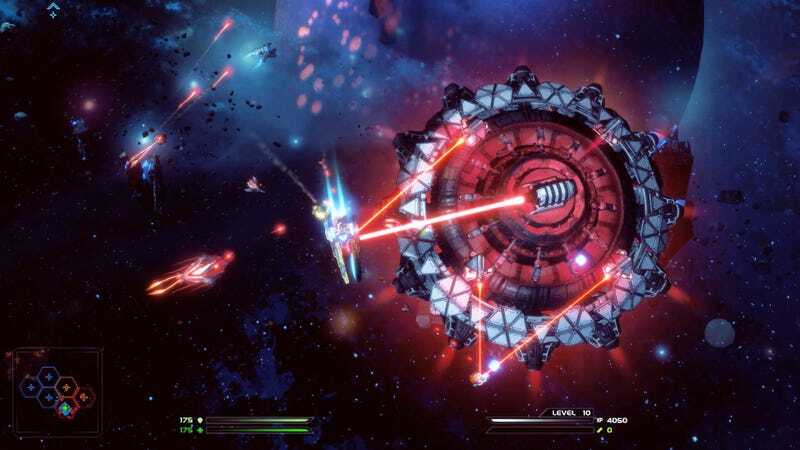 Dead Star may not be what people were expecting, but it played like no other recent game release. Matches in the game felt like battles between fleets of Star Wars and Star Trek-style ships, with small fighters tangling with bigger cruisers, phasers, lasers and bombs all bursting through space. Armature also launched ReCore this year, a PC/Xbox One title made in conjunction with Comcept and Microsoft. That game received mixed response, with praise for its look and game design but complaints, including from us, about bugs and loading times. Armature has issued patches that have fixed some of those issues.